The Mid Coast Hospital Center for Cancer Care is a Commission on Cancer accredited program offering a comprehensive, multidisciplinary approach to patient care. Mid Coast Hospital has made significant advances in cancer care in our region. From increased access to wellness and prevention programs to ongoing quality initiatives, we are continuously looking for ways to improve patient experiences and outcomes. 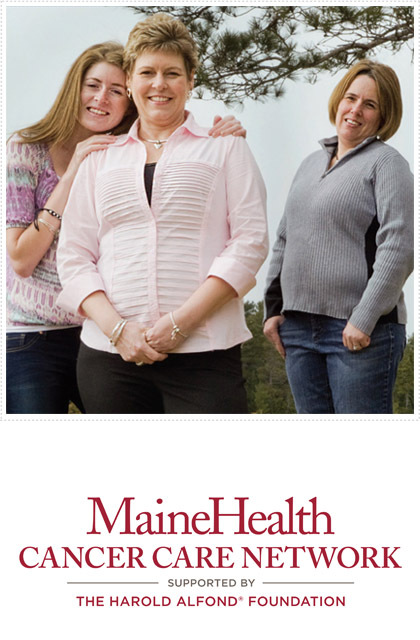 Now in partnership with the MaineHealth Cancer Care Network, Mid Coast Hospital delivers the highest quality cancer care as close to home as possible. In spring 2018, we unveiled a brand new cancer care center as part of the Parkview Campus renovation.